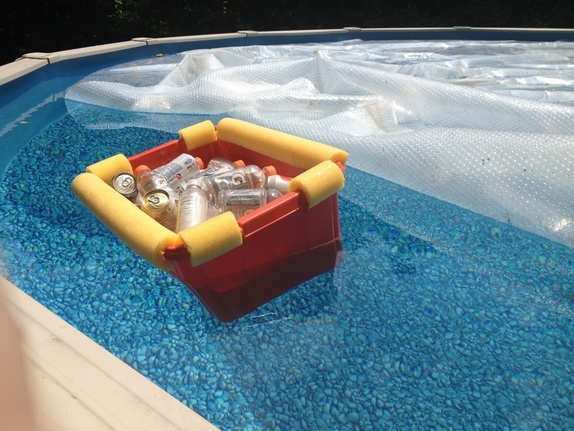 My idea for creating a new use out of the recycling bin was to turn it into a floating cooler for your pool. The materials used were a pool noodle and a foam board cut to the size of the bin. I added ice and drinks and you have yourself a floating cooler.